To integrate with Box, go to the App Center in Settings and scroll down to "Install More Apps." 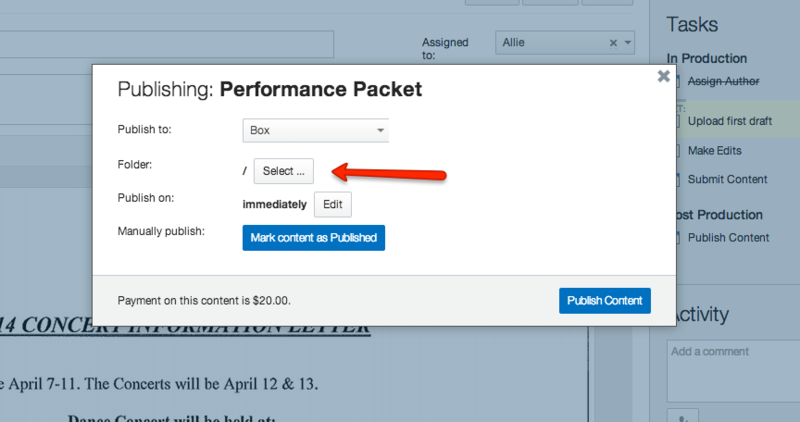 Click on "Box" and choose the instance you would like to hook it up to. For more information, follow the directions in this article. 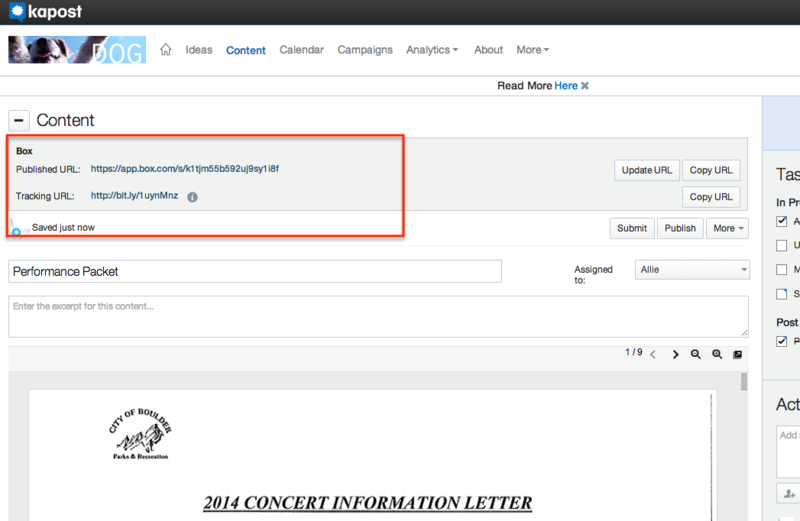 Now when you publish your content to Box, you will be able to select which folder in your Box account you would like to send your post - whatever you choose is where the file will be sent. 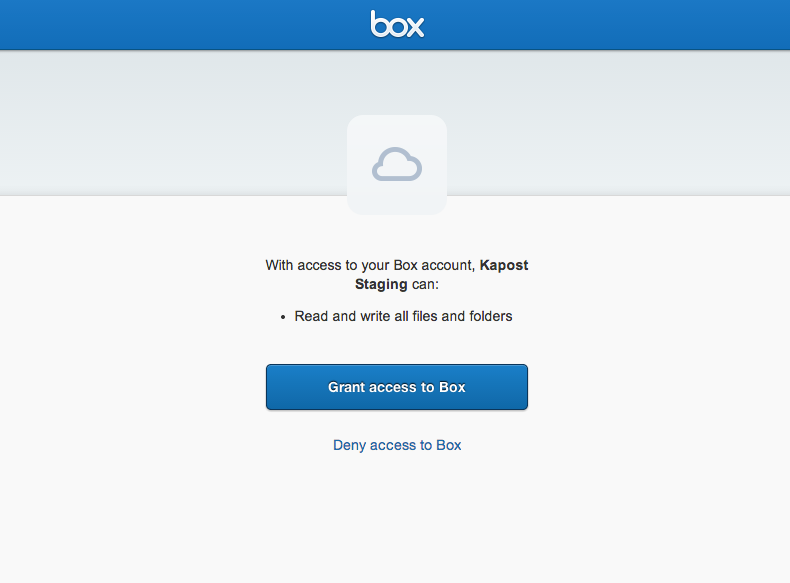 When sending assets to Box, they will only accept document assets from within Kapost (e.g. White Papers, Infographics, etc.). 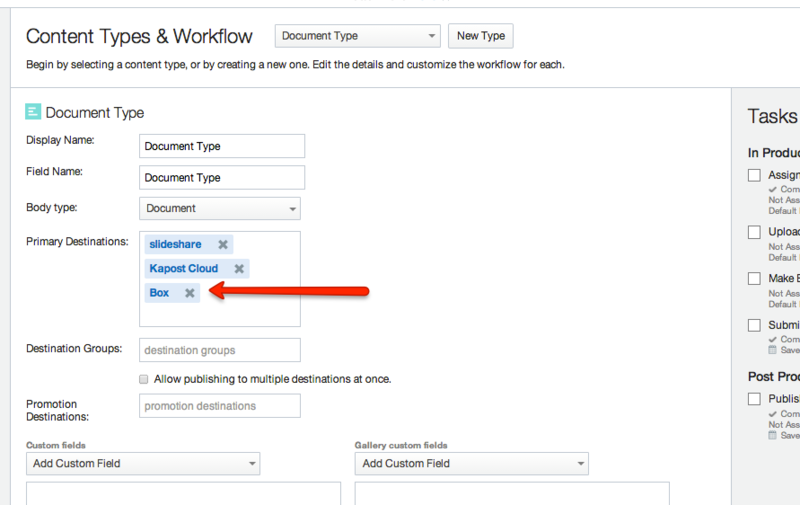 It cannot accept social or blog post content types/file types within Kapost. For asset management, it is not recommended but it is possible to have multiple destinations setup in Kapost. In other words, you can have multiple primary destinations. i.e. 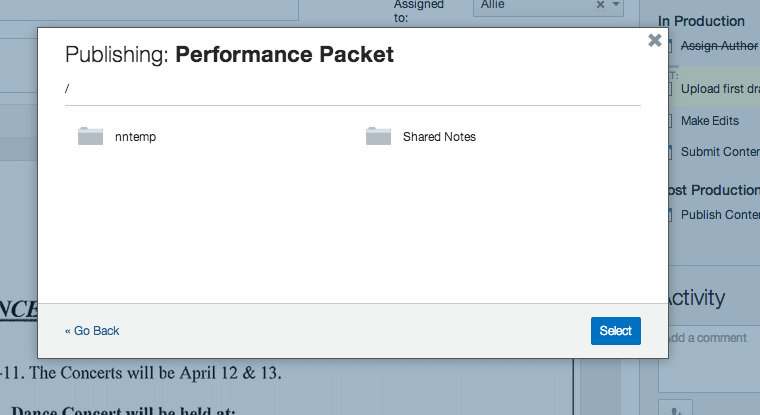 You could publish a White Paper to Slideshare and Box from within the same project.